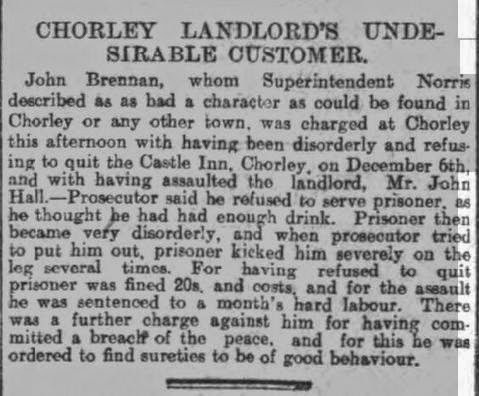 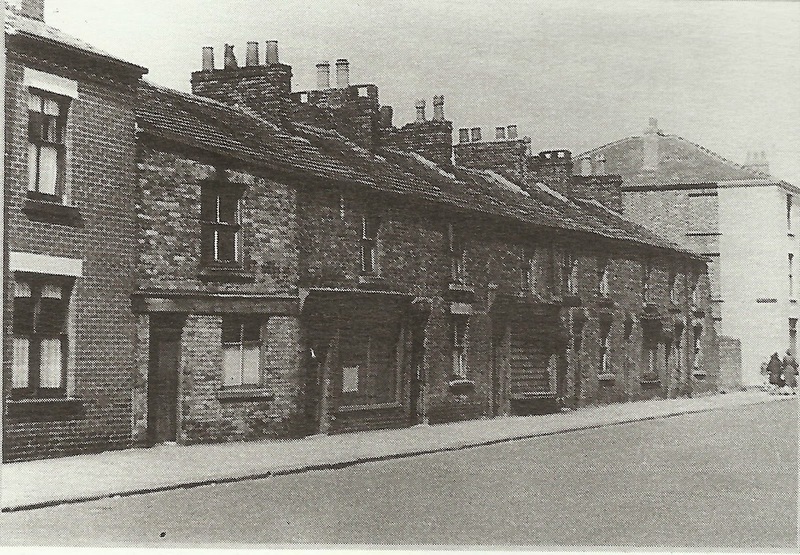 The Castle Inn was already closed for business by the time of the photo above, prior to the development of the Clifford Street by-pass, which completely changed the landscape of this are of Chorley and resulted in the demolition of not only the Castle Inn but numerous other buildings along Lyons Lane and Clifford Street; other licensed premises that became victims of the redevelopment included the Victoria (aka The Red House) which stood on the corner of Lyons Lane and Brooke Street and the Robin Hood Hotel. 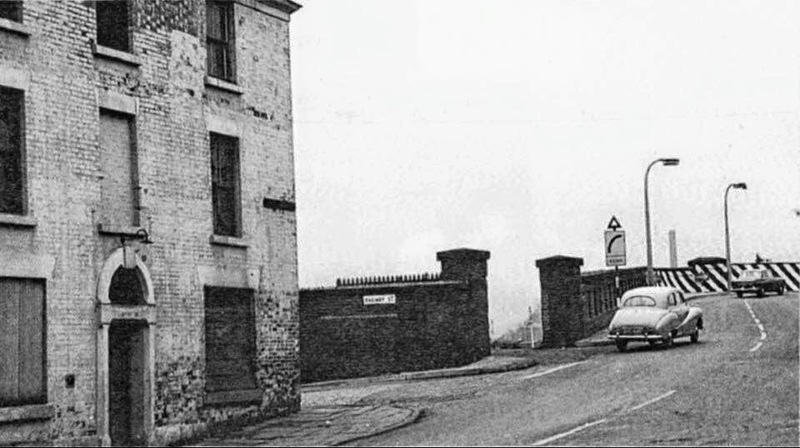 The white building centre picture towards the bridge is the Castle Inn. 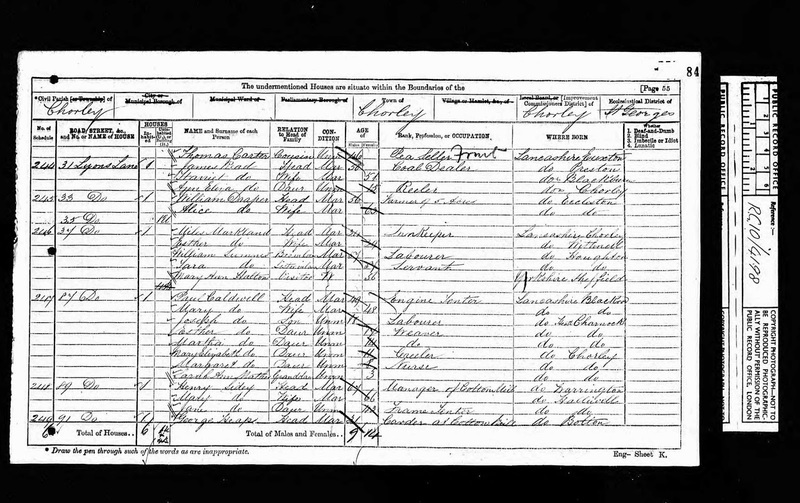 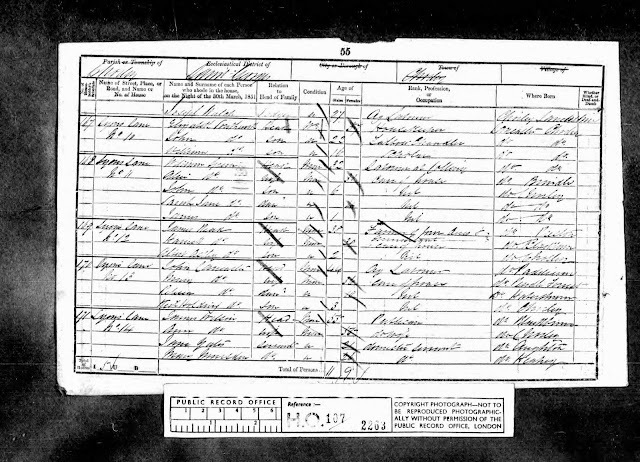 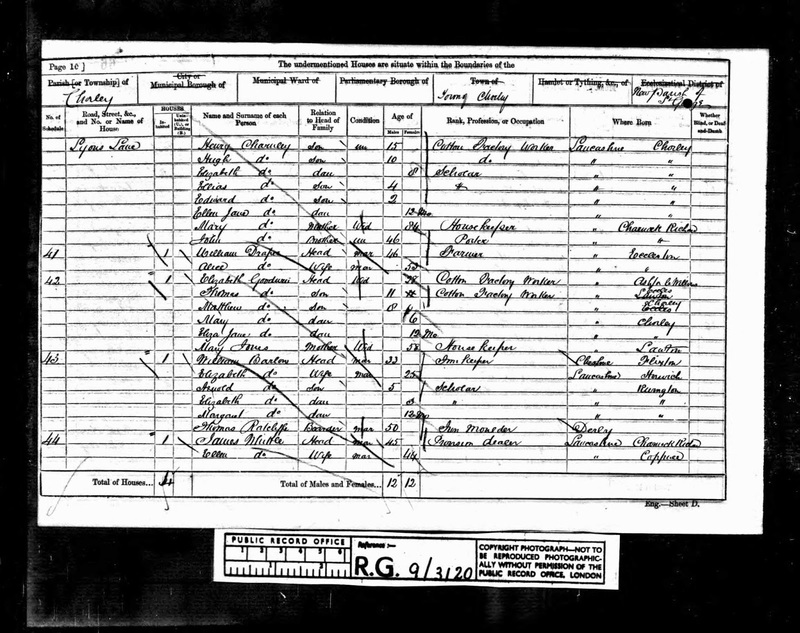 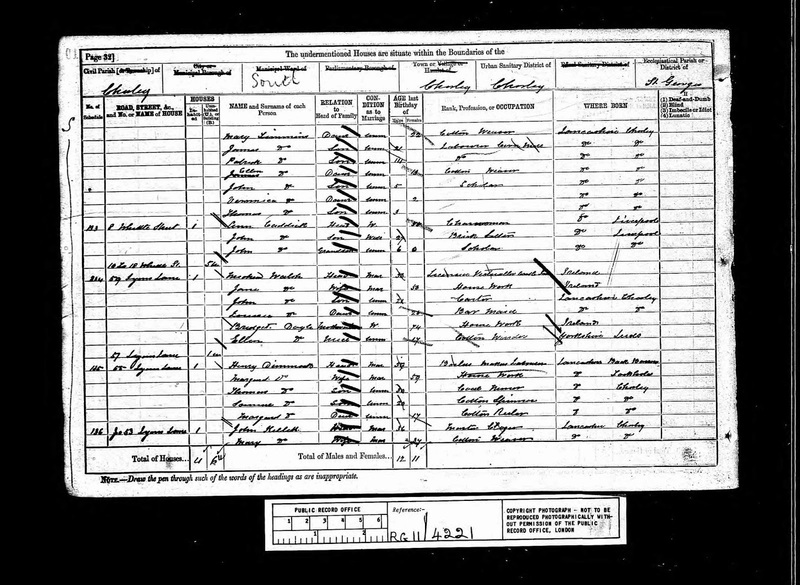 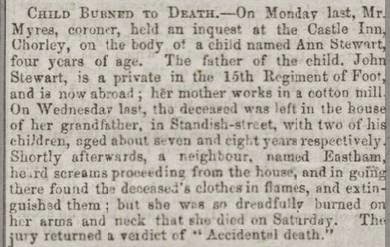 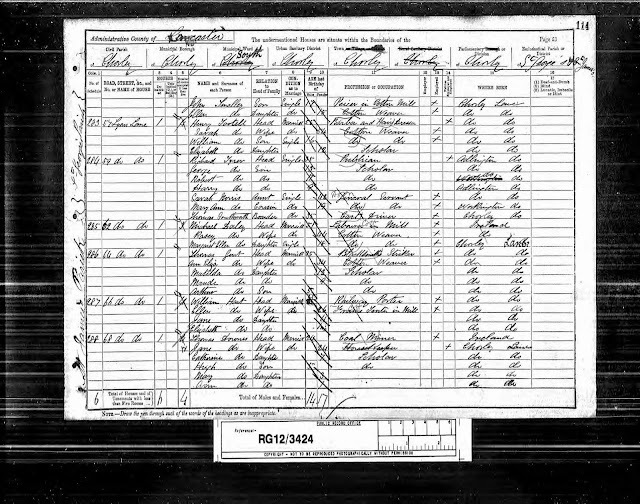 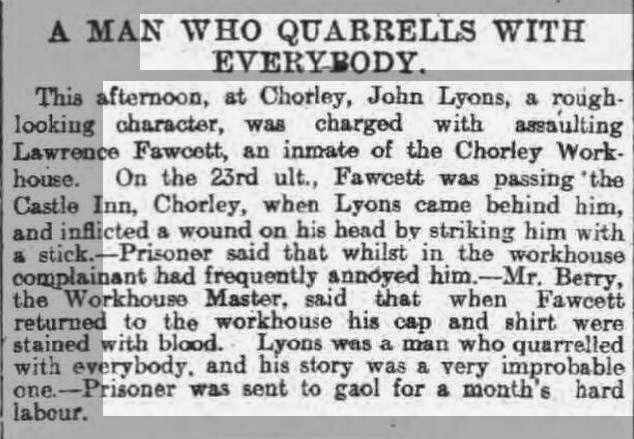 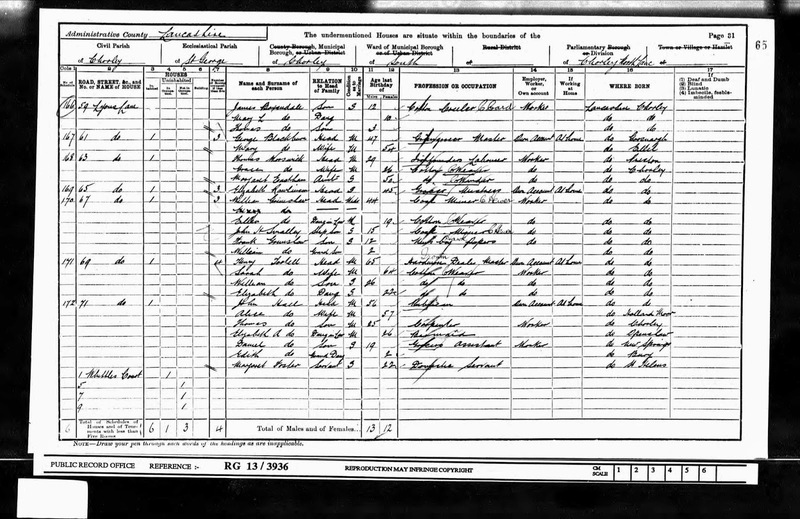 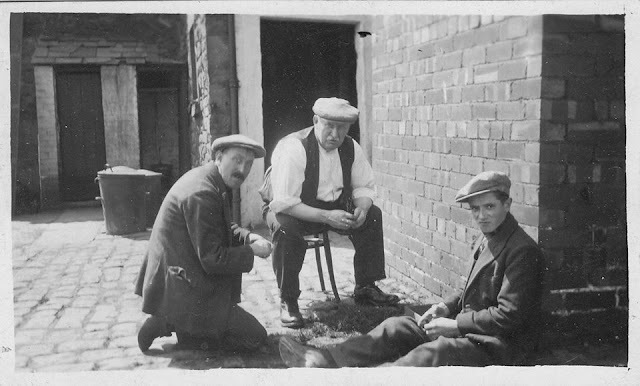 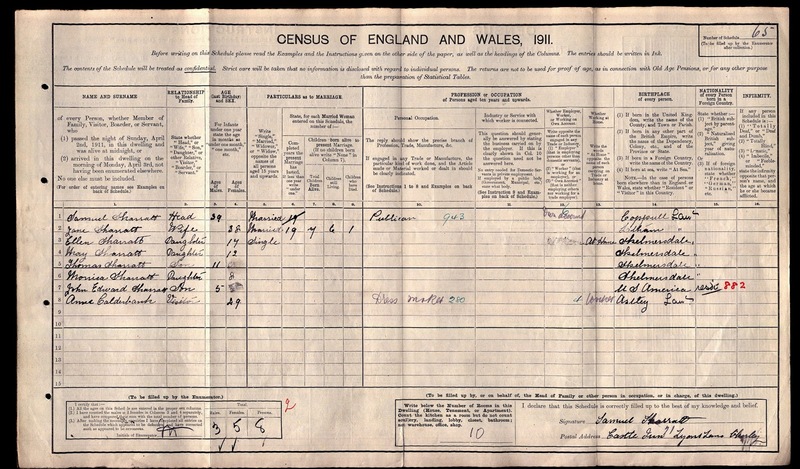 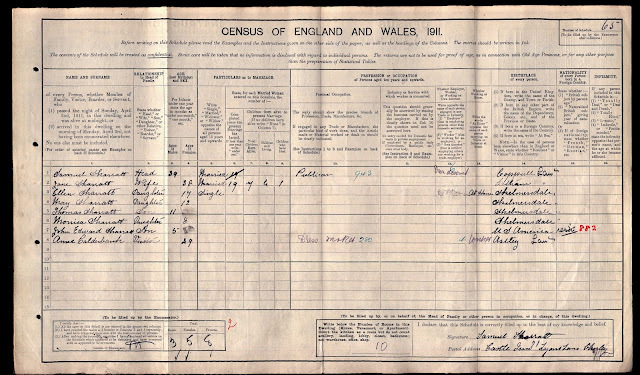 The Castle Inn appears on records from the 1851 Census with the following landlords listed: James Wilson (1851-61), William Barlow (1861), Miles Markland (1865-76), Michael Walsh (1879-82), Richard Tyrer (1889-91), Alice Hall (1896), John Hall (1901), Samuel Sharratt (1911) and Thomas Blackledge (1936). 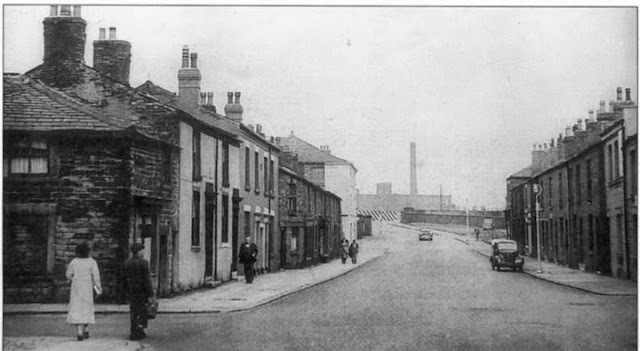 Looking down Lyons Lane with the Castle Inn far right and the junction with Standish Street further down to the street. 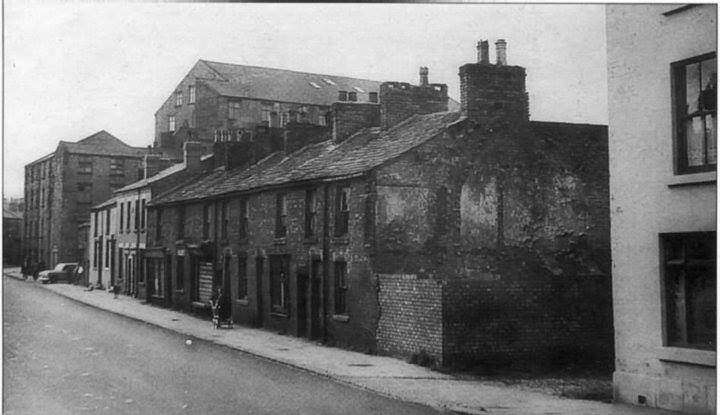 The Castle Inn (far right) looking up Lyons Lane from the junction with Brooke Street. 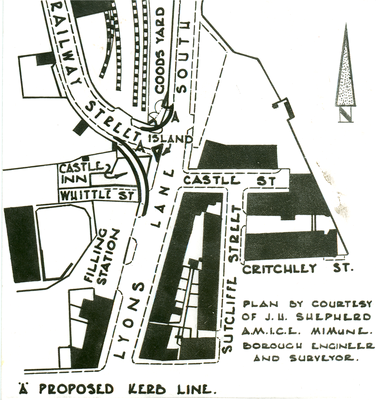 All these properties were demolished to make way for the by-pass road.